The four-day work week has been a pipe dream among American citizens since we first began a full-time job. Between working hard all day and trying to squeeze in errands at night, it seems that it’s nearly impossible to find enough time in the day to complete all your responsibilities and manage a social life or squeeze in hobbies. The idea of a four-day work week hinges on a few factors that are seemingly impossible for many industries. Employees would work four eight-hour days totaling 32 hours by the end of their week without losing any benefits or salary. This idea is out of reach for many, but it still seems more attainable compared to some predictions for the modern age; for example, 1930 economist John Maynard Keynes believed everyone would work for only 15 hours per week by now. This idea is ludicrous, but it makes the dream of a 32-hour work a potentially reachable goal with the right time management strategies. Some companies have already made the switch, such as New Zealand company. A trust and estate firm began the four-day work week experiment in 2018 after reading that most British employees are only productive for about 2.5 hours each day. With the goal of increasing productivity in mind, CEO Andrew Barnes established a four-day work week by trimming the fat off inefficiencies in their office. This included streamlining meetings and preventing interruptions between coworkers via a signal method. Even though the company had eliminated an entire day from their work week, office productivity was at an all-time high. And that isn’t the only benefit the company saw. Job satisfaction went up and stress went down from 45% to 38% on average. Employee engagement went up. The business worked to implement the four-day work week permanently as a result. If Perpetual Guardian taught us anything, it’s that productivity doesn’t have to suffer in spite of a four-day work week. As employees make more efficient use of their time, satisfaction goes up and stress goes down. When it comes to employee engagement and stress, nearly 61% of American employees claim they feel burnt out by their job, according to CareerBuilder. Another 31% of employees experience extremely high levels of stress at work which manifest in unhealthy ways, such as poor physical health and worsened overall mental health. Highly-engaged employees can lead to a 41% drop in absenteeism and a 59% reduction in employee turnover, as seen by companies operating within the top 20% of engagement. A recent study even shows that a four-day work week could be beneficial for gender equality both at home and in the workplace. Some companies have experimented with implementing a four-day work week with no loss of benefits or salary. This could potentially change the work life ratio of its 800-plus people working in its UK headquarters, particularly among parents. The gender pay gap increases when a woman has a child (or children). This is known as the “motherhood penalty,” an unfortunate social and economic side effect to having children that results in lower rates of pay and even a lowered status at work. It’s the idea that a four-day work week would offer more valuable parenting time for both parents. This would enable the woman suffering from the motherhood penalty to engage in a more active role in the company and maintain equal footing with her peers. But men will also benefit; it’s assumed that men will be able to make more choices regarding part-time and full-time work. This is benefits of a four-day work week is striking compared to the stress Americans currently hold regarding their jobs. After all, highly engaged employees experience less turnover and more profit. 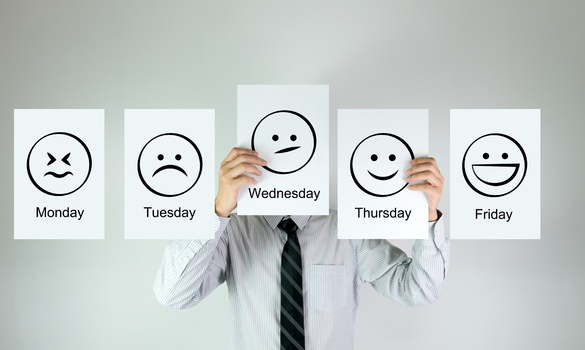 Despite evidence claiming the four-day work week is better, the overwhelming majority has admonished the idea of a four-day work week. After all, it’s an expensive risk that can be hard to implement outside of a salaried job. While some office settings and industries might get away with transitioning hourly employees to salaried workers, businesses that operate 24-7 or have other scheduling limitations may be out of the question. Additionally, some workers simply have to put in the time to ensure the job gets done right. If an employee needs a 40-hour work week to complete a task, this eight hours of overtime might cost an employer more in the long run. And if an employee enjoys working a 40-hour work week, un-utilized labor becomes an issue. If you think your company can benefit from the perks of a 32-hour work week, there’s no reason why you shouldn’t give it a shot. However, implementing a nation-wide change such as this might be impossible in our current climate.